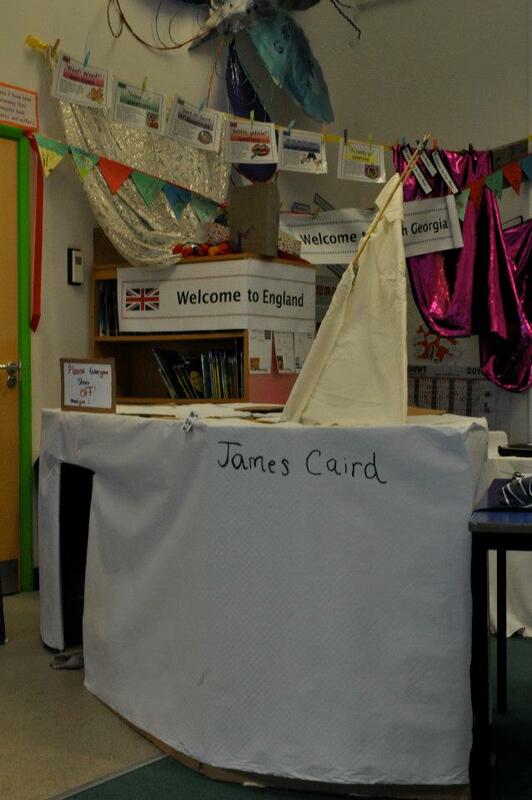 I am currently the Acting Headteacher at a small rural primary school in Cornwall. Over the years, I have thoroughly enjoyed teaching my Antarctica/Shackleton unit as part of a cross-curricular term’s worth of work over many years and it was this which inspired me to launch ‘Shackleton In Schools’. I am also a member of the Geographical Association’s Early Years and Primary Phase Committe and am involved with writing articles for various publications linking to this topic e.g. The Royal Geographical Society. The year 2014 marked the start of the centenary of the Endurance voyage and I am keen to continue to facilitate a network of fellow teachers from all key stages, locations and interests to share this with. Many classrooms and pupils have already been lucky enough to have had teachers who have used this topic as a vehicle to deliver learning. The centenary will further heighten the interest and links. My interest in this expedition is rooted in my family links; I am Alexander Kerr’s great-granddaughter (2nd Engineer on The Endurance/Chief Engineer The Quest). I have already stockpiled a range of planning, resources and links which can be found on the Shackleton In Schools web-site and am passionate about bringing this all together to mark something very special for the Centenary and for many years to come. Please note that all work and documents included in this site are © Emma Kerr all rights reserved, all trademarks hereby acknowledged.